A traditional Lakeland farmhouse which provides relaxed luxury accommodation for up to eight people. With its Aga kitchen, wood burning stoves and stunning views, Rowling End is the perfect base to enjoy the dramatic landscape whatever the weather. A detached stone barn dating from when Rowling End was a farm, sympathetically developed as a stylish one bedroom cottage. 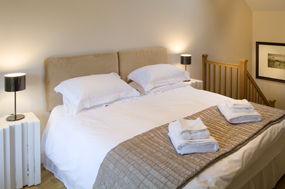 Both houses can be booked together to provide accommodation for 10 people, ideal for groups celebrating a special occasion or relaxed get-togethers with family and friends. 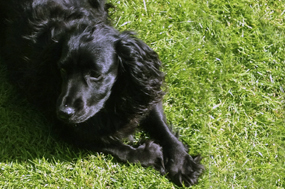 A maximum of 2 well behaved dogs are permitted in each property. 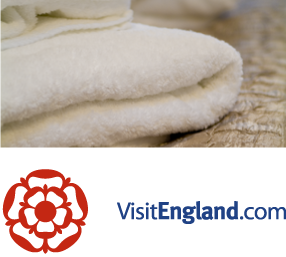 Visit here for the latest information about offers and short breaks. 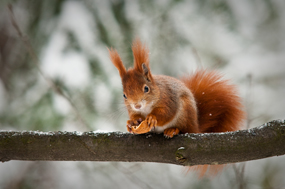 Red squirrels are returning to Rowling End in greater numbers with your help.